Short cycle times for the assembly are extremely important in automobile production. 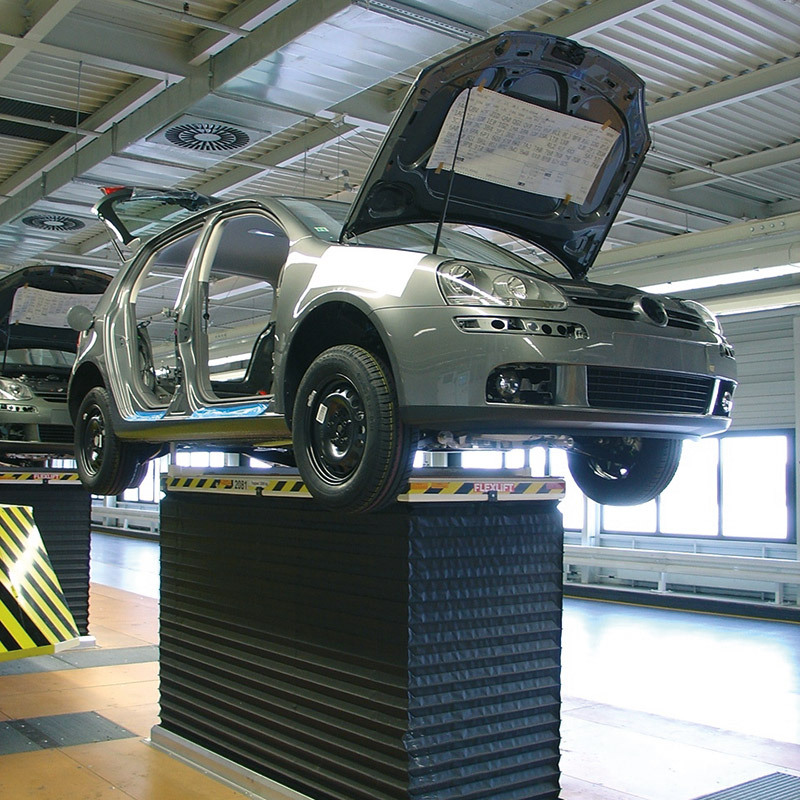 In order to design the optimum ergonomics for the worker, the vehicles are transported along the production line on lift tables. Depending on the work operation to be performed, the vehicles are moved to the optimum height in order to ensure as efficient working as possible. Which exact height has been reached is established using draw-wire sensors from Micro-Epsilon. Completely integrated in the lift table, they ensure more reliability and higher productivity.